Mackenzie Taylor didn’t have high expectations for this year’s Theodora A. Randolph Field Hunter Championships. 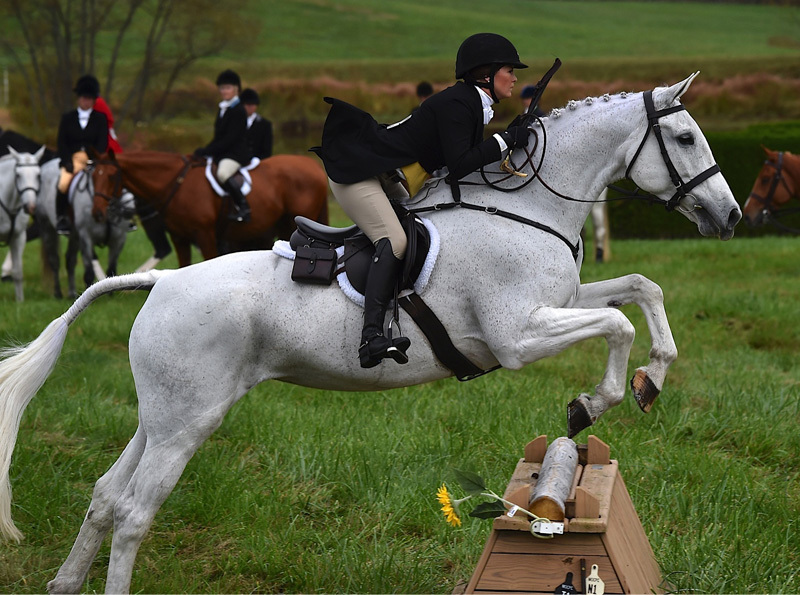 Though she grew up on the back of foxhunters, the 21-year-old had never attended the event before, so she traveled to Middleburg, Va., in hopes of just getting her feet wet. But Taylor didn’t just make the final, she topped the championship aboard Frank and Linda Becker’s 9-year-old Selle Francais mare Rita. The Beckers sent Rita to Taylor to sell 1½ months ago, and it’s safe to say that Taylor’s fallen hard for the grey mare. “I think she’s perfect,” said Taylor. “She’s very honest. You point her at a fence, and you let her do her job. I lead the field off of her; I’ve whipped off of her. My dad’s hunted hounds off of her. She’s just an all-around great horse. It’s only natural that Taylor found herself competing at the field hunter championships even if it did take her a few years to finally get there. Her father, Robert Taylor, is a jt,-MFH at Goshen Hounds (Md. ), and her mother, Kathy Taylor, is a professional horsewoman and coaches Pony Club riders. Mackenzie started riding as soon as she could hold herself in the saddle and became a junior whipper-in at Goshen Hounds along with her younger brother Hunter. But for many years, Mackenzie wasn’t in the country when the championships occurred. She was an avid mounted games competitor and for the past five years, she’s spent her summers in Europe competing. In 2012 Mackenzie took home the individual win at the Pony Club’s International Mounted Games Association World Championships in Wales on a rescue pony named Inkspot. Mackenzie returned to the States last October with plans to return to Europe again in 2017. But pain in her knee sent her to the doctor’s office, where she learned she’d torn her posterior cruciate ligament on top of an old anterior cruciate ligament injury that was never addressed. “I had no clue about. I was like OK, I can’t deal with it any longer, so I went to the doctors, and they were like ‘How are you still walking?’ ” she said. Mackenzie spent several months on the ground to recover and got back in the saddle a couple of months ago. She’s started her own teaching and training business, which she runs out of the family farm TaylorMade Stables in Mount Airy, Md.